Manage Individual Contractors and Employees With Ease. Businesses around the country are turning to CrimShield because they want an easier way to keep track of the employees and contractors they have representing their brand. They love our easy-to-use set of online tools that make it a snap to keep tabs on your workforce – even if many of the men and women you count on are actually employed by subcontractors. All of our clients get access to CrimShield’s online employee and contractor management platform that makes it easy to do things like add new employee applicants, view an individual’s screening status, and turn off credentials in the blink of an eye. 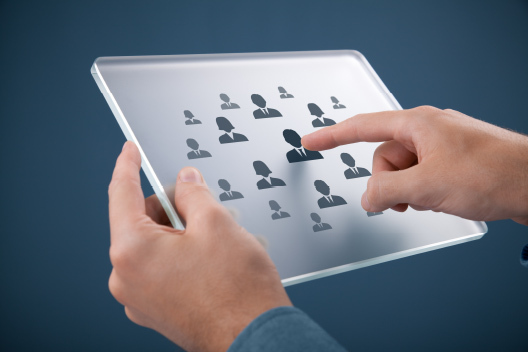 Best of all, our system is intuitive, so you can be using it to manage your people within moments. Along with powerful online profiles that are updated in real-time, you get better employees, lower legal liability, and an unbeatable marketing edge. That’s because we use live investigators to screen and verify new hires and existing contractors, checking federal, state, and local court records in-person so you can have the confidence to know you’re getting the whole story. Lots of companies advertise the fact that their owner or principle has a great reputation, but what about the service personnel who actually go into homes and offices? When you make the effort to hire employees who can be Crime-Free Certified, you want to know they’ll stay that way. With our renewal system, employees and subcontractors are recertified on an annual basis to ensure they’ve been keeping out of trouble. That way, if they’ve been charged with or convicted of a crime while representing your business, you can find out before it becomes a problem. If you’ve been managing your employees with handwritten notes, faxes, manila folders, and other outdated records, it’s time to see how much easier things get when you have the right data at your fingertips. Call a CrimShield representative today at 888-422-2547 to get started with our Contactor Management system!